Understanding The time value of money is the foundational to creating high yields with real estate notes secured by real estate. Ron Happe:	Good morning or good afternoon to everyone. Thanks for joining us today. This will be our second livecast. First of all, I want to apologize. I'm not a techno wizard as you guys have probably determined, but I do have Mark with us today and Mark is our IT manager in case I run in to any problems getting back and forth amongst the slides. Today is going to be a day that some of you may enjoy. Some of you may already know when we'll be bored and some of you may not have any interest in it whatsoever, but we are going to cover the calculator today and some of the things that the time value of money will certainly give you some insight into this note business and how we make money at it. As we said last week and a couple of questions arose about getting on the livecast or looking at the livecast that has been recorded, if you go to our website, which is www.mscpinc.com and up at the toolbar at the top, there is a tool that's publications and under the publications you would click on livecast. Also, by the way, there are some other things in there, podcast and so on, some educational things. 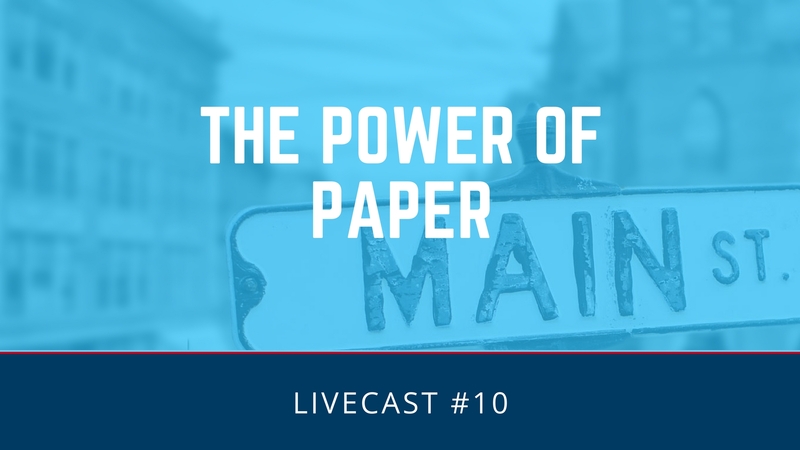 You may be interested in saying, but if you go to livecast, then you are asked to put in your email and your name and you'll be automatically taken to that page. That's where the livecast or going to be recorded. It is good to have you back here. Today, as I said is going to be pretty exciting thing. I've identified it as it's money not math because I know math can be boring, but after you see what we are going to be doing here, I think you'll have a new appreciation for it. Now, one of the questions that came up last week, over this past week, I've gotten a couple of emails that said, "Why are you doing this and why are you offering free advice and free information?" To be transparent and to be honest, I want to educate as many people as I can about the note business and about what we as our company does. The reason for that is that I think we have opportunities to work together. We like to help you raise money. We like to help you create some funds. Taylor is a California attorney. 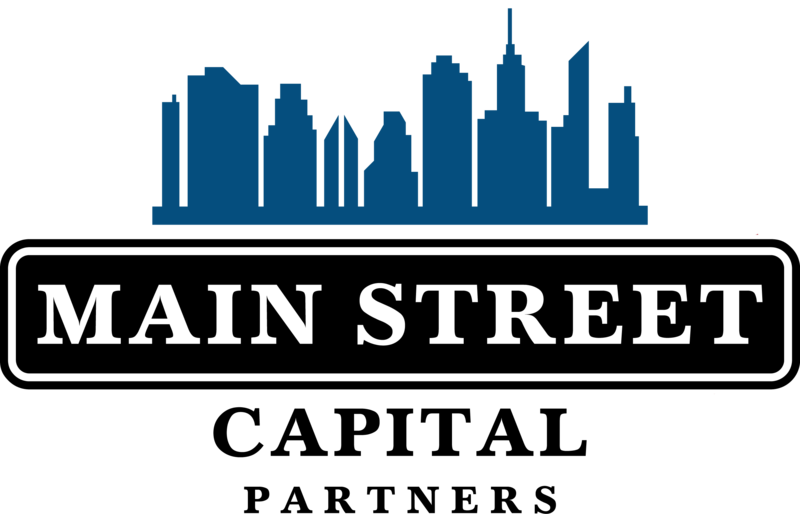 He is very experienced in doing the private placement memorandums and an ECC compliance. 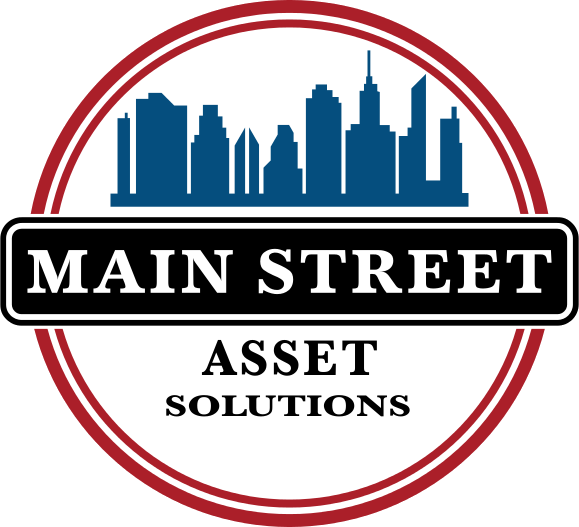 We also are very astute and up-to-date on Dodd–Frank and all of the legislation and the requirements that are being passed to collect notes and to be debt collector in all the different states. 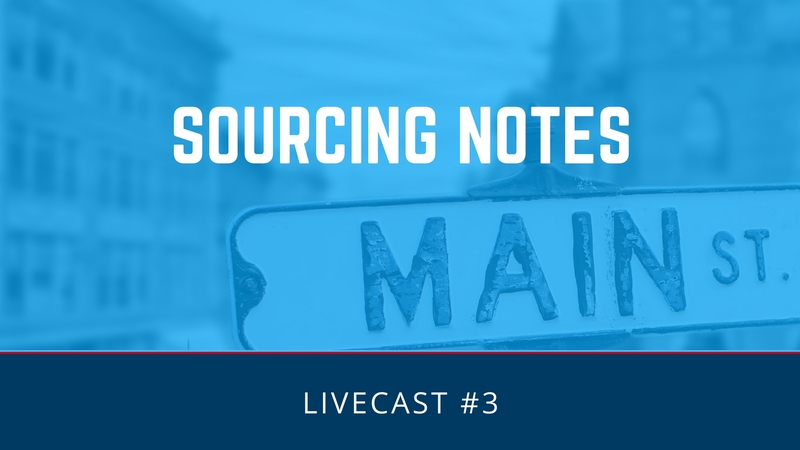 Quite honestly, we want to educate you so that you feel comfortable getting in the note business, seeing what kind of returns are available to it and the hopes that someday you may partner with us and let us be your back office. I want you to be as comfortable with this as you possibly can be. I want you to be very professional at it. That's why we are doing this. 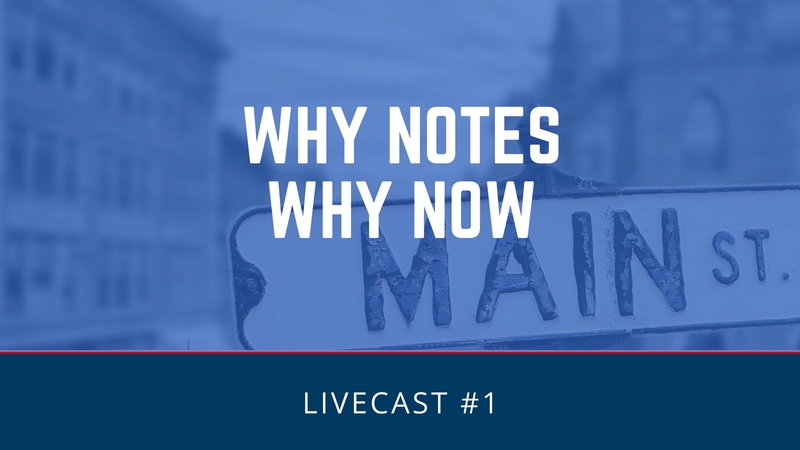 Now, we've titled today's livecast It's Money not Math because we want to show you some specific mathematics that you can use. 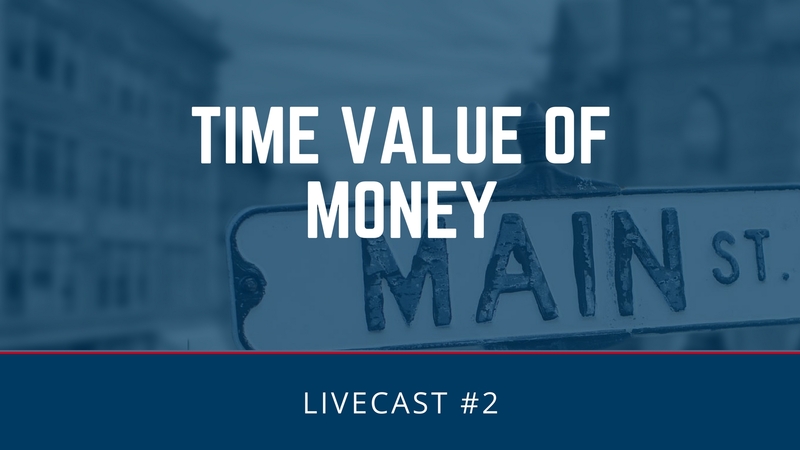 Some definite indications of what time value of money is and how you can utilize it to your advantage in the note business. Now, one thing I would like to do is go over some of the things that you are going to need in order to be successful in this business. Let me get to another slide here. One of the things that you need to do when you get ready to get into this business or if you've been in it for a period of time is you need to be professional. You need to have the tools that are available in this industry in order to be successful. One of the things that I think you absolutely have to have in this business is TValue software. You can Google TValue. 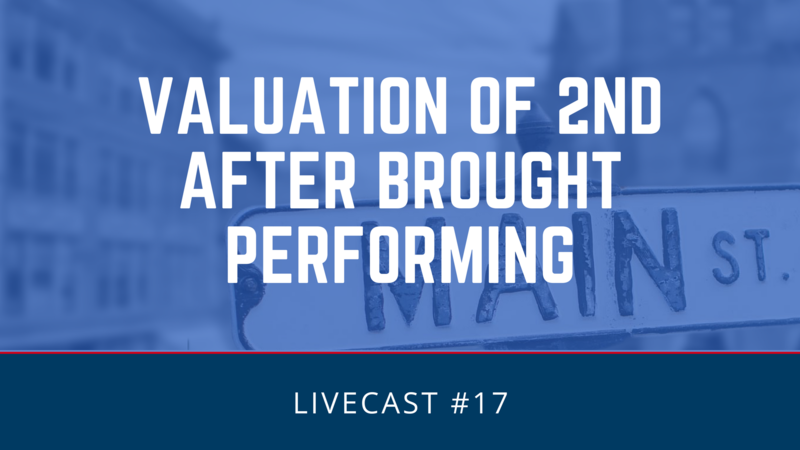 I don't get anything from TValue by recommending it, but it is such a dynamic and useful tool that you can use to do amortization schedules, to do loan workouts and so on. It has a capabilities that you're going to have to have if you want to be really a pro in this business. The other thing you're going to need is a financial calculator. Now, the two that I'm most familiar with are, number one, the HP 12C. HP 12C, I've used probably for the last 30 years probably. It's available for $99. It's a little more complicated to use than the HP 10BII, which is what we are going to be using today. The HP 10BII is about probably around $35 to $40 and it will do all the calculations that we need to do and you're going to have to have one. The other thing is you can get the either one of these on a smartphone. I have it on my smartphone. It's about $4.99 to $5.99. You want to get it from One Day Development. That's the company that you're going to want to utilize for this smartphone 10BII calculator. The reason for that is it's just got a lot of help on it and, in fact, you can get some video information off of your smartphone there and to actually learn how to use a calculator. It won't be specific to what we are going to talk about today, but it tells you how to use the calculator. Those are the things you're going to need. Also, today is going to be a primer show of what can be done with the calculator or how you do the calculations to determine what you're going to pay, what a workout could be and what you're going to sell if that's your case or what kind of returns you're going to get if you keep alone for cash flow. Those are all things that we are going to talk about today. 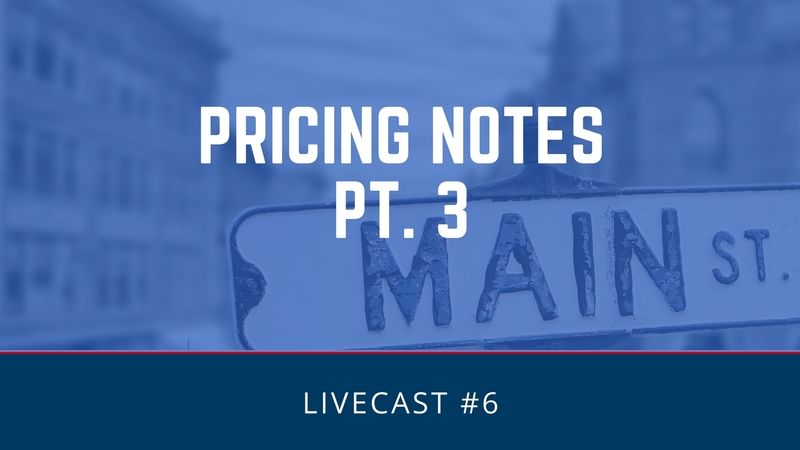 If you need more help after today on the calculator because starting next week we are going to get more in to the actual process of note investing and do some pricing models on how you would price for different types of notes. If you are going to need more help on this, I would recommend that you get information from Tom Henderson, a note professor. Tom has a very relaxed way of teaching. It's very easy to understand. His MO is different than ours. 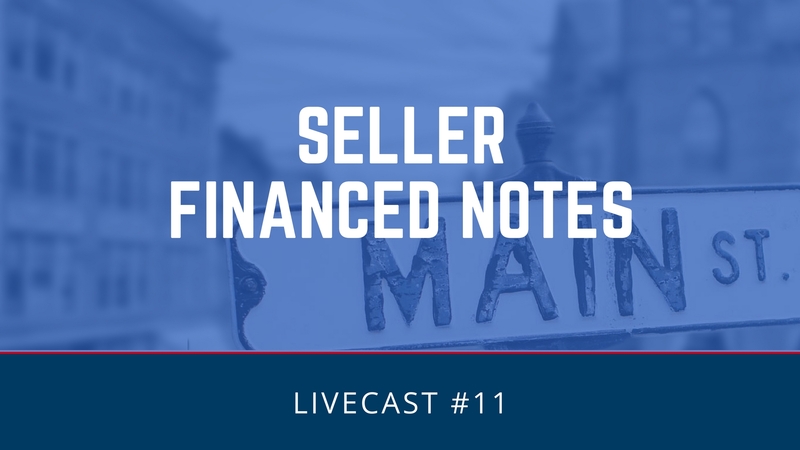 Most of what Tom does is in purchasing seller finance notes, but he is extremely good on teaching the time value of money and the calculator you use. If you need more help, I'd recommend it you go to the note professor. Just Google the note professor, you'll get to his website and you can order his newsletter and his educational materials. Next, I'll just briefly give you the disclaimer. Again, today, we are not trying to sell you anything. We are not selling securities. This is for educational purposes only. We are not giving any legal advice or accounting advice. For that, you need to go to your own people. Why do we need to know how to use the financial calculator? These are the reasons and the things that we are going to go over today. Number one, we need to know how much we are going to pay for a note. 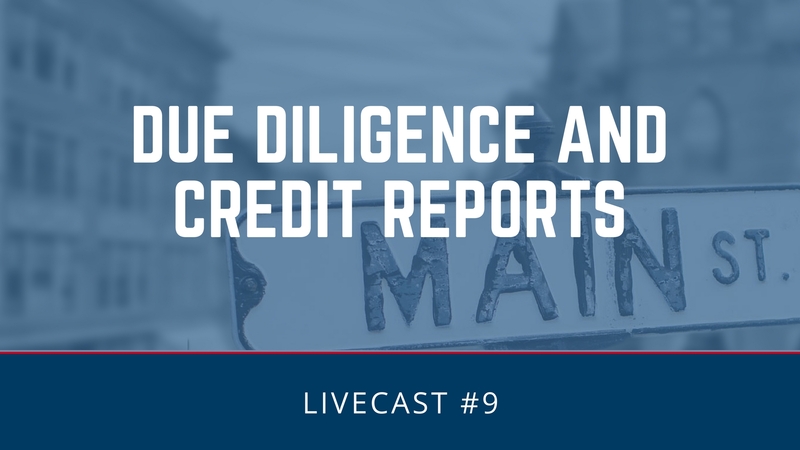 We base our decisions on what kind of yield we are looking or what kind of a profit income percentage-wise are we looking on every note that we buy. We need to do an amortization. I have an amortization schedule on the chart here. This is what an amortization schedule looks like. An amortization is just a payment schedule that allows the note after a certain period of time to die. For example, if you are going to write a note for 30 years or 360 months, at the end of the 360 months, the balance would be zero. During that period of time over that 360 months, there's going to be an interest rate and a principal rate and that changes monthly. When you first start out, it's mostly interest and as you go through the payment schedule, more and more principal is paid until you get down to zero. Let's go back now to where we were of why we need to use a calculator. A lot of times we are going to have to find out what the balance should be or is after a number of payments have been made. We are going to have to calculate what a workout schedule for a home owner should be. If we get a workout schedule with the home owner, what it's going to look like for him. We need to determine our yield and we need to determine yields for investors that may buy notes from us. 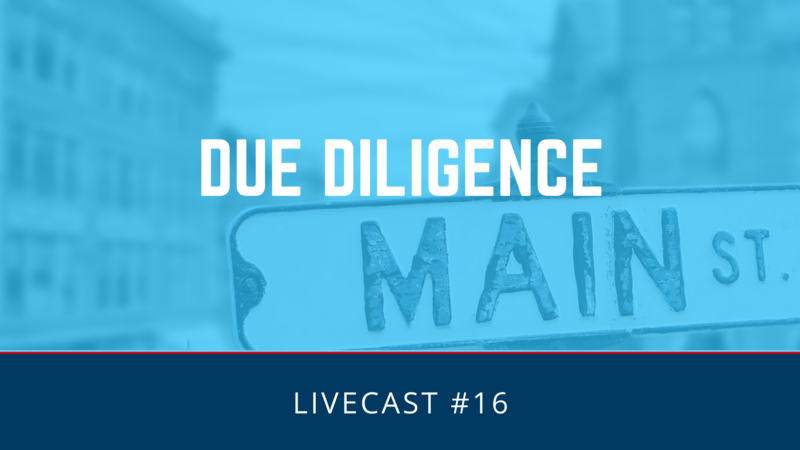 We need to determine how much we are going to sell a note for and we are going to need to determine our return on investment and our internal rate of return. 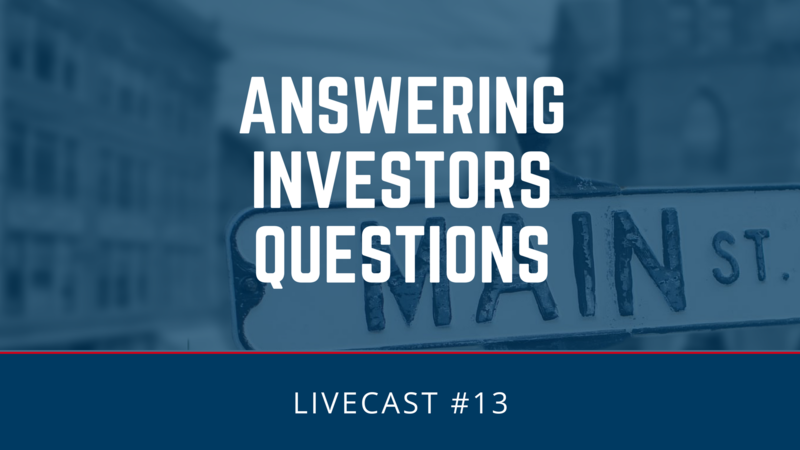 Now, internal rate of return and return on investments are topics we are going to talk about today, but we are not really going to get into IRR except to show you the calculation and what it does and why we use it. If we take a look at the HP 10BII calculator, let me get one up here on the screen. Sorry. Here we go. This is what the HP 10BII looks like. Really, all we are going to be concerned about today is the top row of the numbers, the five numbers. That's all you need to know about in this calculations that we are going to be doing on notes. To go across the top here, I like to just identify what these all mean. The N is the number of payments per year. You can see that in the orange underneath the N it says times P/year. That's number of payments per year. Now, you can do it yearly and it's a calculation that it's to change, but we are going to be using number of payments per year. On a 30-year note, that's 360 as what we would put in that N.
The I/YR is simply the interest rate per year. PV is the present value. PMT is payment and FV is future value. Now, underneath future value, you can see that says AMORT. If you're on your smartphone and you hit the orange button right above the C second from the bottom on the left, that orange button there, and then hit that AMORT button, you will get an amortization schedule. It will show you every payment for the length of the time of the note. It's very helpful tool. Then, FV is future value and that's a key that we are going to use also. Now, one of the things that becomes kind of critical in this is you have to know or you have to identify the payment schedule, what you are going to be paying out and what you are going to be taking in. It's very critical to know those numbers and how they relate because anything that you are going to be paying out needs to go into a negative on the calculator. Sometimes, people find it helpful if they just draw out the cash flow. Let's say that we have a loan that was written at a 10% annualized yield. You see that 10% row in there with a 360 payments. We want to know what the present value of that note is. In this case, PV is the amount that we would pay for a loan for 360 months of payments of $750. We have identified those. If we are going to be receiving 360 payments of $750 and we are going to receive them for 360 months, what is the present value of that? What would we have to pay out? When we do that calculation, the $750 payments are going to be positive because that's money we are taking in and the present value is going to show up in the calculations as a negative number. That's money that we are going to pay out. Now, if we were getting a loan on a house, the present value, let's say the loan, was $100,000, that would show up on the first line as a positive number. We may not be getting $100,000 of cash, but we are getting $100,000 house. That shows up as cash and the payments of $750, those lines would go below that straight line across. They would be negative numbers and have to be inserted as negative. Here we go with the calculation that's very simple one. Let's say that we have a loan that we are taking a look at and that loan is going to be a $100,000 loan for ... Get this up on the screen for you. We are going to have a $100,000 loan at 8.5% for 25 years. What is the payment on that note? Pretty easy to calculate this. The first thing is we have a $100,000 present value. Now, that's money that, let's say, we are going to take a loan out for $100,000. That would be a negative $100,000 then. Let's go to $100,000 negative. Right here is a plus and minus. That makes that a negative number. We go to present value. We are going to be loaning this money out. We are going to be receiving payments of 8.5% for 25 years. 25 years equals 300 months. We take 300 months and that goes into our N column. Our interest rate we know is 8.5% per year. We are going to completely amortize this loan for over the course of the 300 months. Our future value is going to be zero. The loan will completely amortize and we want to determine what is our payment. Now, if we know four of these numbers, we can calculate for the fifth. We calculate that and our payment is going to be $805.23 per month. We are going to put out 100,000. We are going to receive $805.23 a month for the next 300 months. What if this paid five years and then at the end of five years, what would the future value be? What would the present value be if this note paid for five years and they wanted to pay it off? What would they owe? If they paid five years, that's 60 payments. We would change this N number here to deduct 60 from it, which would leave 240 payments left and there would be a balance of 92,786.99 on this note. That's how we would calculate if a payment was made. What's the balance at a certain period of time? This becomes pretty important if you are buying a first mortgage to know what the balance of that is versus the value of the home. Two other calculations that we might want to look at are loan value. We are going to calculate two calculations here that are important to know. The first is the LTV, that's the loan-to-value. If a home is worth 200,000 and the loan that you get on it is 100,000, of course the loan-to-value is 50%. Now, if you have two loans, the first and a second and I will say that we are primarily second buyers, probably 70% to 75% of our portfolio is seconds, then it becomes important to know what the combined loan-to-value is. That is if I take a $200,000 house and it has a $100,000 first and a $100,000 second, the CLTV, the combined loan-to-value is 100%. If it's in many cases today, you are going to find that the combined loan-to-value is over 100%. There's more owing on the property than it is worth. Now, we are going to get into some real work on being in a note business. Let's say that we have an opportunity to buy a note and that note that we are going to purchase has a payment every month of $700 per month. There's 230 months left on that note and we want to get a 16% return for our money. Let's do a calculation here to figure out what would we be willing to pay for that note in order to get that 16% return. First thing is we have 230 months that we are going to receive payment. We want to get a 16% return. We are going to put 16 into the interest per year. We know that our payment was at $700 per month. We are going to put 700 into payment. We know that at the end of this 240 months, there's going to be a zero balance. We are going to solve for present value. We would pay $50,004.69 for that note to get a 16% return. In other words, if we paid $50,004.69 for a note and we were to get 16% return, we would get $700 a month. I hope we are clear on that. This is to determine what we would pay for a note at a certain yield that we were looking for. 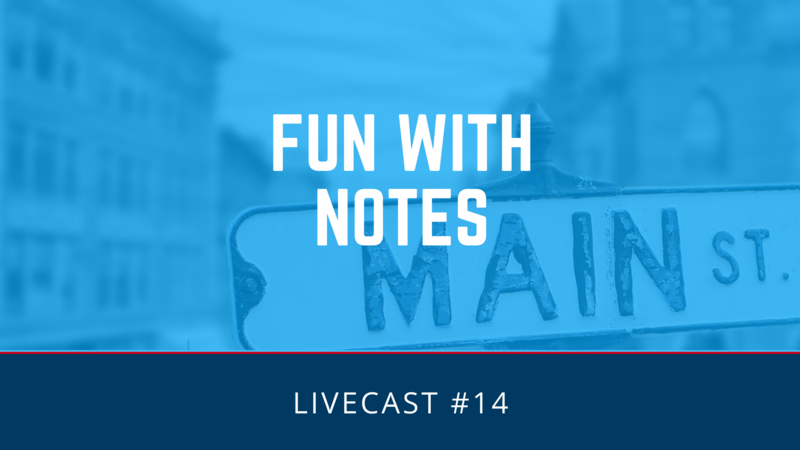 Another thing that can happen when you are looking at notes is you may take a look at a note that has a balloon payment. The calculation to determine what a balloon payment is worth, so what we are doing here is calculating and seeing just what the time value of money does, what it does to our calculation. On a balloon payment, let's just say that we have a $10,000 loan at 10% interest only. We are only going to get the interest payment for five years and then the balloon is due. How do we calculate that in the calculator? The first thing that we have to do is determine how many months. It's five years, that's 60 months, 60. The interest rate we know is 10%, so we go 10. The payment is interest only and the future value is $10,000 because at the end of five years, we are going to be paying $10,000. What is our payment? We got it wrong here, let's see. We got 60 months. The payment is 83.09. If you would calculate, that would be to just take 10% of 1,000 and divided by 12, gets you a payment. Now, what we need to do is we need to determine in a balloon payment we need to determine what is the payment stream worth and then what is the $10,000 future value worth 60 months from now. What's that worth today? The first thing that we are going to do is we are going to calculate what is this payment worth. We have $83 a month. This is going to be zero. The future value is zero because we are just calculating what this payment is worth. We are going to pay $3,948.78 for that note, for that stream of income. Now, what we have to do is we have to determine what is the balloon worth. What is this $10,000 here worth 60 months from now? This is where the time value of money comes in. We all would know that $10,000 today is worth more than $10,000 that we would receive in five years. I guess a good explanation of this would be if you went to Walmart with your shopping cart five years ago, what could you buy versus what you could buy today? You'd buy a lot more five years ago than you're going to get today. If we have zero payments, all we have is five years from now a 10% note that's been paid off, the payments are zero, what's that $10,000 going to be worth five years from now? $6,077. We add those two together and we find out what our calculation is for a balloon. Now, we've done some preliminary exercises here. Let's determine some real nitty-gritty work that you're going to be doing on a note. First, this is a second mortgage for $100,000 at 25 years at 7%. There is a first on this property for $150,000 for 30 years. Let's make an assumption here and say this property is worth $300,000. If that's the case, let's determine what the LTV on that second is. We have a $100,000 second divided by $300,000 market value. We have a 33% loan-to-value on the second. More importantly, what is the combined loan to value on the first and second together? Let's say that the house is worth 300. We have a $100,000 second and let's just assume we have a $150,000 first. 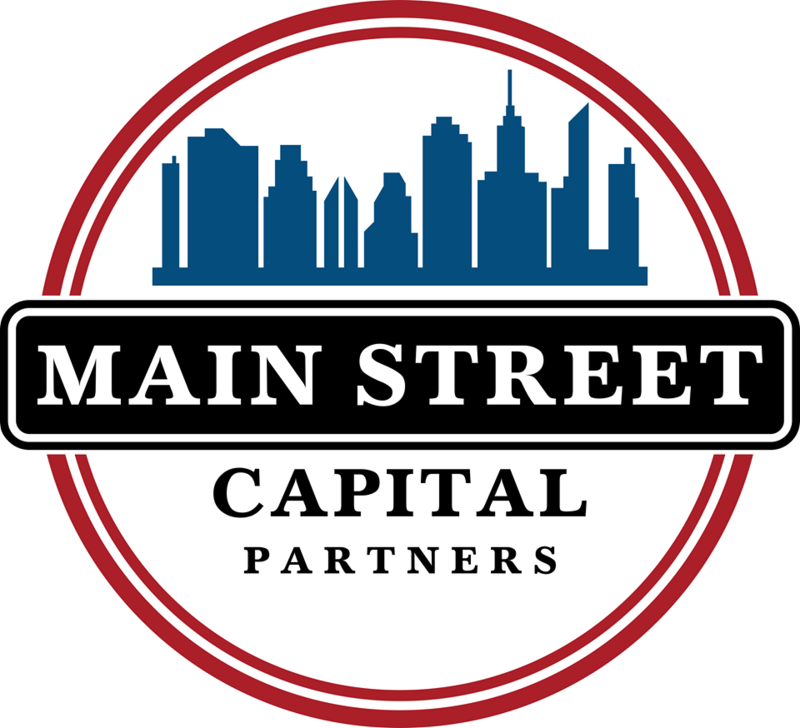 We have a $150,000 first plus $100,000 second, $250,000 divided by our market value of 300,000 gives us an 83% combined loan-to-value. That's how you determine that. Let's say that we are looking to buy this note and the note had an original balance of 100,000. The original payment was $708.78 and the homeowner made that payment for 49 months. The note was written in November of 2008. 49 months later or December of 2010, they went delinquent. After December 2010, they have not paid a payment for 29 months when we decided to purchase this non-performing note. 29 months, they have not paid. Their payment of $706.78 equals arrearages of 20,496.62. We would need to determine what the unpaid balance is after they had made those 49 payments. The unpaid balance here, this was originally written for 30 years, that's 300 months minus the 49 that they've paid leaves 251 months. They have 251 months left to pay. The original interest rate was 7%. The payment was $706.78, completely fully advertised. Present value, they owe $93,021.55. Now, this is a great calculation because when I get this the first time, I got $93,021.45. That happens when these calculations do that. That's simply a small calculator error. If you are within a dollar, you're going to be just fine. The calculation, they owe $93,021.55. They also have arrearages of 20,496.62 and there's going to be some penalties on that. We are going to do a workout on this loan. We reach the homeowner and the homeowner wants to stay in the house. What we are going to do is collect $8,000 and arrearages from that homeowner and put them on a monthly payment schedule of $500 a month. We've reduced their monthly payment by $206 and we make an agreement with them that says, "Dear Homeowner, if you pay us $8,000 now and $500 a month and if you are current for 12 months, if you are never late on 12 month, we will wipe out the rest of those arrearages. In effect, you are saving yourself $12,000 plus we've reduced your price." We have $500 a month payment coming in and we also reduced your interest rate from 7% to 5.5%. Let's see what this does to our profitability as a note investor. The first thing that we need to do is we need to calculate how long will it take at $500 a month and 5.5% interest to pay off 93,021.45. Let's put the calculation of 93,000 is already in there. We are going to have now $500 a month payments and we have ... $500 a month is negative as it is a payment they're going to have going out and we have a 5.5% interest rate. How long will it take to pay it off? Approximately 419 months. Now, we all know that the average loan is seven years or up to 10 years possibly. This probably isn't going to go 418 months, but that's how long it would take them to pay it off if they paid $500 a month. The next thing we want to do is we want to see now how much can we sell a note for. If it's receiving $500 a month and it's going to receive that for 418 months and we want the investor, the person that's buying it from us to get an 18% yield. The first thing we need to do is change this to 18 and we now have a 418 months at 18 %, at a $500 payment. How much would we sell that for? We would sell it for $33,268.7. We [inaudible 00:37:49] this loan. We're going to assume for six months. We received $3,000 in payments, $500 a month for six months, that's $3,000 and we collected $8,000 in arrears or we've collected $11,000. If we add 11,000 to what we are selling it for, this is the total amount that we've collected on that note, 44,268.07. If it took us a year to do that, we have a return on investment of 149%. Pretty exciting business we are in and this is why the calculator and the time value of money becomes so very important. Now, I want to go one step further. Let's assume that we keep this for a year after the payments are made, but after the first six months of payments and the people have been doing it very well, we go to Mr. Homeowner and we say, "Hey, look, you have been doing very, very well on making your payments. Here's what we would like to do to reward you. If you could pay $600 per month and further you can keep that on time, then we are going to reduce your interest rate to 4%." If this were the case, how long would it be to pay this off at $600 per month and at 4% interest? What's the value of that note today? Excuse me, that's not right. How long is it going to take us to pay off 93,021 at 4% with a $600 payment? He is going to take 218 months. That's 200 months difference. 200 times 500, they're going to save a fortune, $100,000. If they do have the money to pay that, they will accept this every time. What does that do to our income? Let's say that we sell a note that's getting $600 a month at that same 18%. What is that worth? $38,455. We reduce the payment or we increase the payment. We reduced the amount of time and we were able to get more for that note than we had gotten in the past. Let me take a look at this. The difference is that we are going to collect about $5,000 more if we reduce their interest rate to 4% and increase their payment to 600 and that again shows you the time value of money. In this case, we've received $600 a month payments for 12 months or $7,200. We received $8,000 in arrearages. We got a total that we received of $52,442. It took us 18 months to get this when done and that's 195% ROI. You can see that you can give homeowners a break and still make huge returns on lower interest rate because $600 a month today is worth far more than $400 a month over 418 months and $600 is worth far more over 218 months. That's a good indication. Here's the breakdown here. 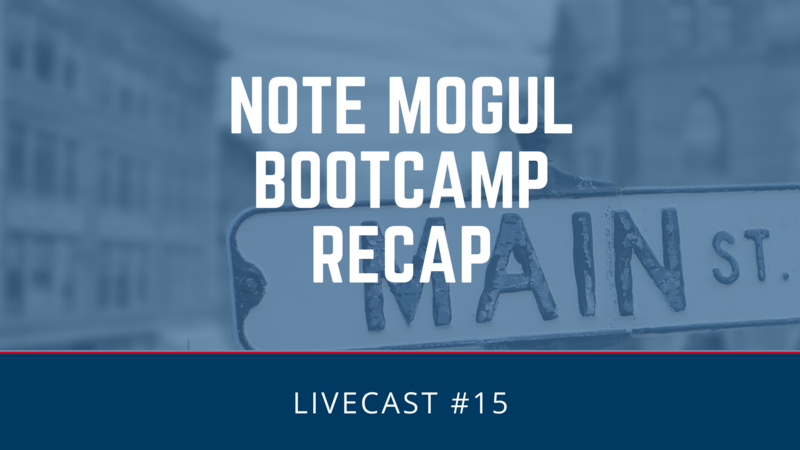 The first scenario at $500 a month was a 149% ROI, return on investment. We invested 17,800. We returned 33,000 and that gave us 149% return. The IRR would be the same because it was one year. The second scenario, the return was 195% on the investment. However, the IRR was lower because it took us longer. That's the difference I think that you've got to know about return of investment and IRR. The internal rate of return is a better number to calculate and there's a formula for that. It's in Excel. If you just want to go and do in Excel, that's the best way to do it. It's easier to compare returns because the return is compared on the same time basis. In other words, the return on investment is a return on the capital that you invest, but it has no time indication on it. This one here you got 149% return. You got it in one year. That's the same if the IRR was a one year and that's the way it's going to be calculated. In the second one, we got 195% return on investment, but it took us 18 months to get that. It's 110% IRR. Interestingly though is what if you kept these for cash flow as opposed to selling them off? $500 a month equal $6,000 per year on an investment of $17,800. That's a 34% return every year for 418 months or 40 years. It's incredible return. If you went with the second scenario at $600 per month, that's a $7,200 per year return on an investment of 17,800. That's a 40% annual return on your $17,800 investment and that happens every year you own the note for 218 months. There are several other opportunities that we are going to be discussing as we go along. There are partials, how you can buy a note, how you can get it to work out, then sell partial payments of that note for a period of time and get your entire investment back and then five, six, seven years from now get the remainder of the note. How can you sell split payments? Let's say that you have a payment of $400 a month on a note and you sell off $200 a month and you sell it off to get a total return of the capital that you placed and you go do that again. Now, you have a $200 a month income with no capital outlay. The other incredible fact that you need to know is how to set up step payments. Step payments is where TValue will be extremely helpful for you. Step payments can be calculated in TValue very easily. Let's just assume that you have a note like the one that we just did that was started out at $500 a month and the people know that their ability to pay more is going to increase over time, so they agree that they're going to step payments up by $100 a year every year for the first 10 years. The step payments allow them to save a ton of money in interest charges to pay off early and it gives you a note that is far, far more valuable. These are some of the things that you need to know in order to get creative in this business and to help homeowners stay in their home. We are going to be covering all of these. Now, we got some questions last week that had to do with bankruptcy, with foreclosure. 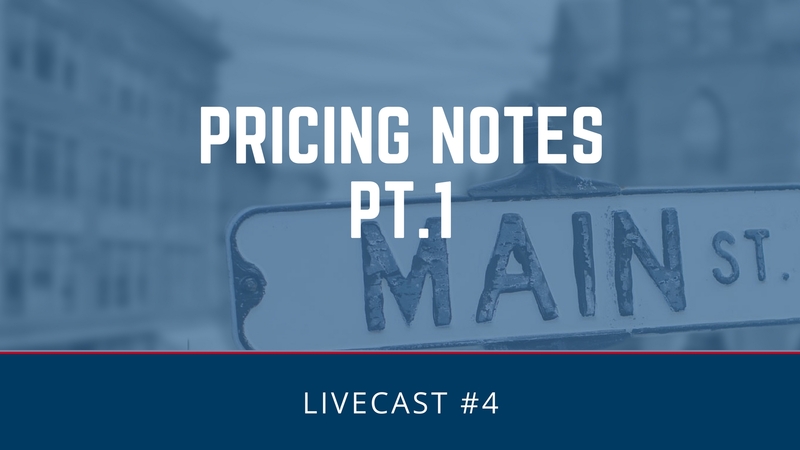 "How do you price a note? What should I pay for a note? What's the Dodd–Frank situation right now? Can I work my own notes? Can I service my own notes? 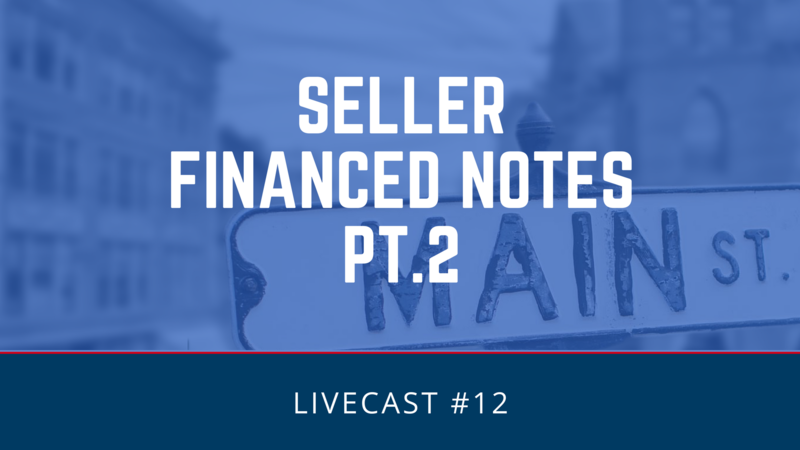 What about seller finance notes? Can I buy a seller finance note without worrying about it?" I hesitate to answer those questions today because they are topics that need a lot of discussion and they are topics that we are going to cover thoroughly in this education seminar. Please hold those off. There are answers to all of them. As a matter of fact, I think once we get into it you're going to find that the worries that you have are not as critical as they really are and that we are going to have answers for them. Thank you for your attention today. We are glad that you attended and we look forward to next week. Next week, we are going to get into our pricing models, how we determine what we are going to pay for a note. Now, please keep in mind that we are buying in large quantities, so our model is going to be a lot different than yours as far as what we can buy them for, but the same determination, how we determine as we think would be the same for you. The way we do it is based upon what kind of yield or what kind of return are we expecting on a note and that's not any different than what we had done today. Get these basics of the calculator down. If you are really into the business already, I'd suggest you get TValue and we are going to really dig in to the pricing next week. Thank you and have a great week.